Techinically the LUXE Makeup is not for Free, but only with a Purchase. Its more like a gift if you buy stardollars or a superstar membership. I would prefer Eyeshadow, but hey, to each their own. 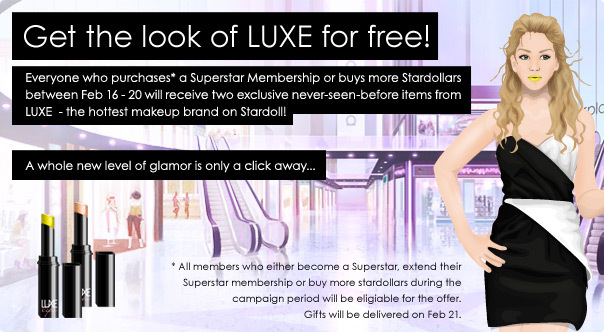 i got a membership today and i ddnt get any free luxe makeup! help me plz. @Chui Choke yeah i even if your superstar you'll have it LOL!